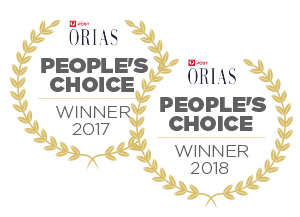 Honed and hand-finished by the most skilled artisans, the Zwilling Henckels Four Star 3 Piece Knife Set is the model of safety, ergonomics and comfort. 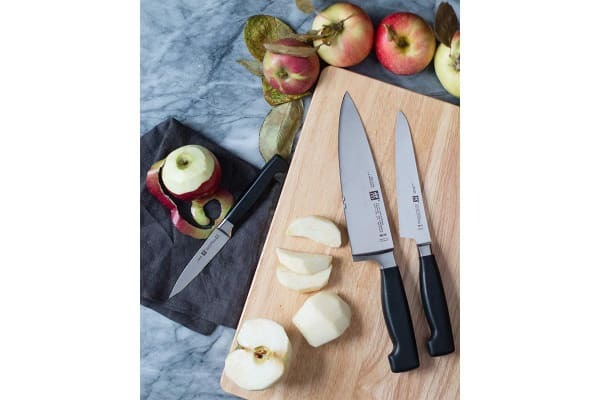 Thanks to their seamless transition from bolster to handle, the Zwilling Henckels Four Star 3 Piece Knife Set is comfortable to use for long periods of time. The bolster provides the right balance while acting as a safe finger guard. 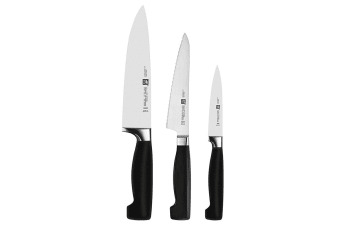 The knives are made of proprietary special formula steel. 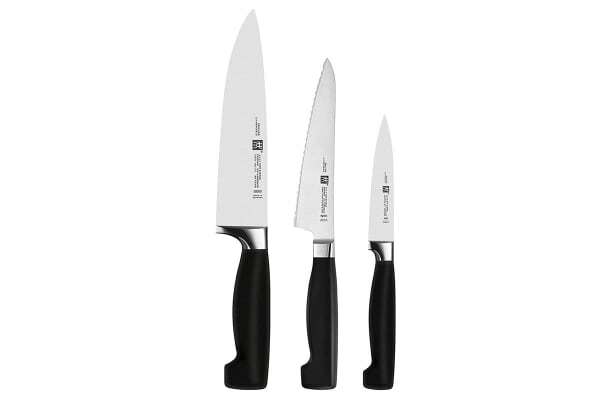 Combined with Zwilling’s ice-hardening technique, these Friodur blades are harder and sharper, they will not stain or chip and they retain their sharpness longer. Precision-forged from a single piece of steel, the Sigmaforge knives have an exceptionally sturdy, balanced and flexible blade.